Technically, there is a sidewalk in front of the Statler, you just have to slide over the hood of a parked vintage car to use it. 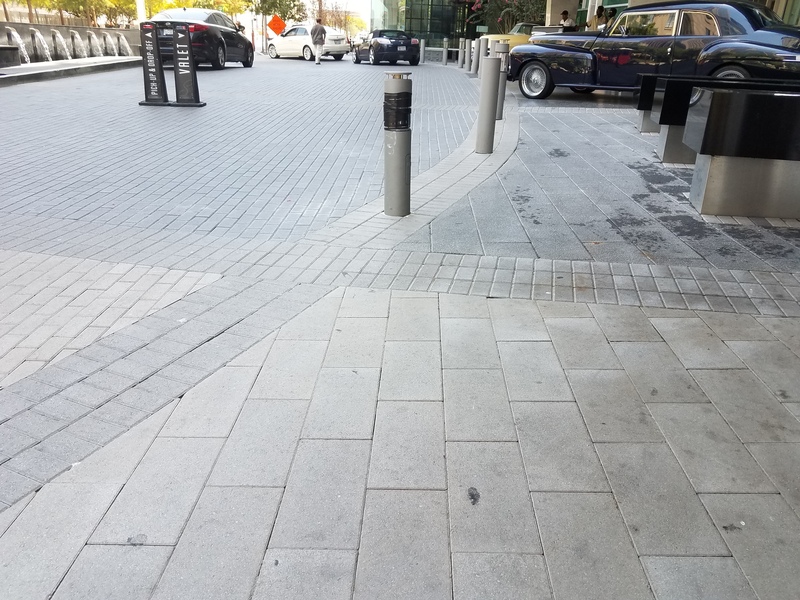 There is a half-hearted walking path that splits off toward the hotel entrance, but there are vintage cars completely obstructing both sides of the walkway, which I guess is cooler than a pedestrian-friendly streetscape. This was in the middle of the day, when few cars were using the lane. Use your imagination to envision it on a busy Friday night or Sunday morning during checkout. You have three options, as I see it. Either A.) Cross Commerce Street to Main Street Garden, where you will encounter no cars or other people, B.) 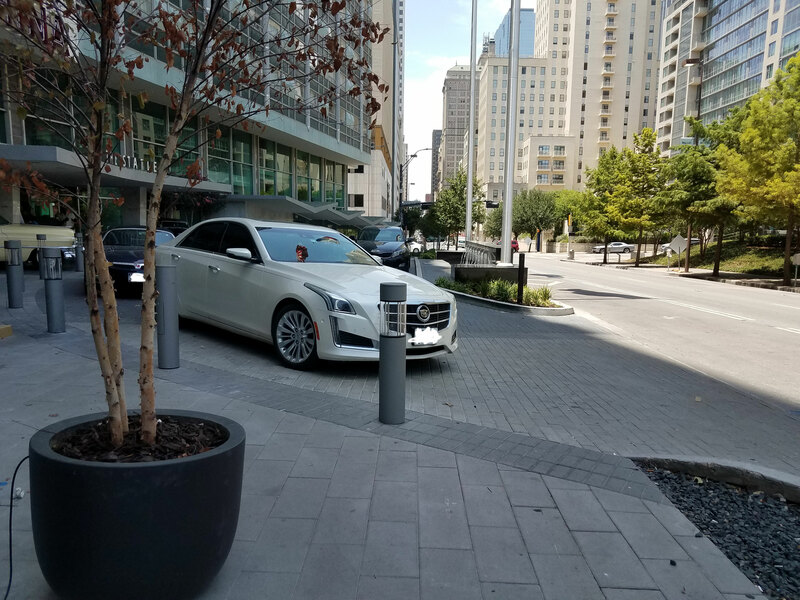 Walk directly through the valet lane and hope you take a solid but not-too-solid hit from an inattentive driver, because maybe you can sue somebody and use the money to buy a car like you’re supposed to in Dallas, or C.) follow the curve of the pavement toward the Statler entrance, start running like you’re being chased, then slide over the hood of the vintage car, barrel through the gaggle of valet drivers and hotel guests milling about the entrance, and hoof it out of there like Tom Cruise trying to prove something.